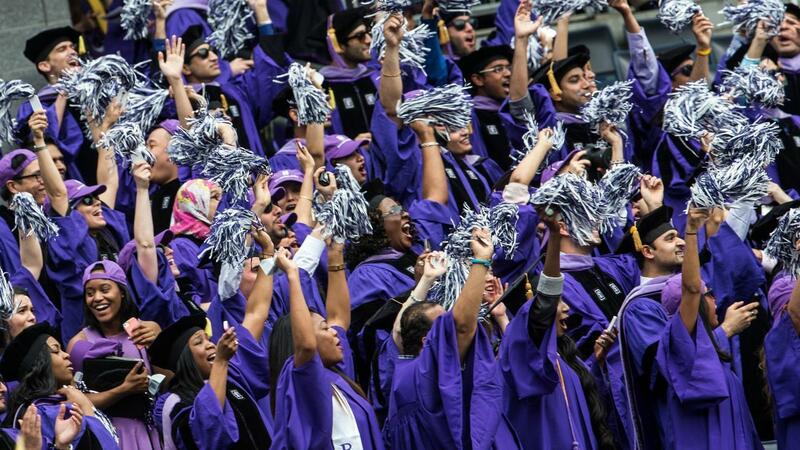 How Many People Graduate From College Every Year? During the 2011 to 2012 academic year, the United States Department of Education reported approximately 3,724,100 students graduated with at least an associate degree from an American college or university. In 2014, the number is projected to increase to 3,798,500. This increase is typical of a continuing pattern since at least 1969, as prior data is not available. The number of associate, bachelor's, master's and doctorate degrees have increased among public and private institutions every year except 1978, when bachelor's degrees experienced an extremely slight drop. From the 2011 to 2012 data, 1 million associate, 1.8 million bachelor, 754,000 master's and 170,100 doctorate degrees were earned. What's the Difference Between College and University? How Do You Find Grants Available for College Programs? What Percent of People Go to College? How Long Does It Take to Get an Associate Degree? What Is Oxford College at Emory University? What Are Some Degrees Offered at Newcastle University?